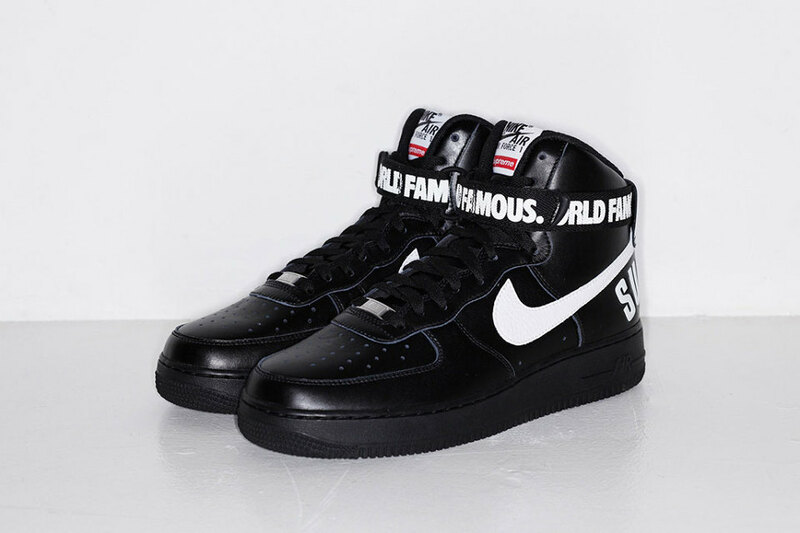 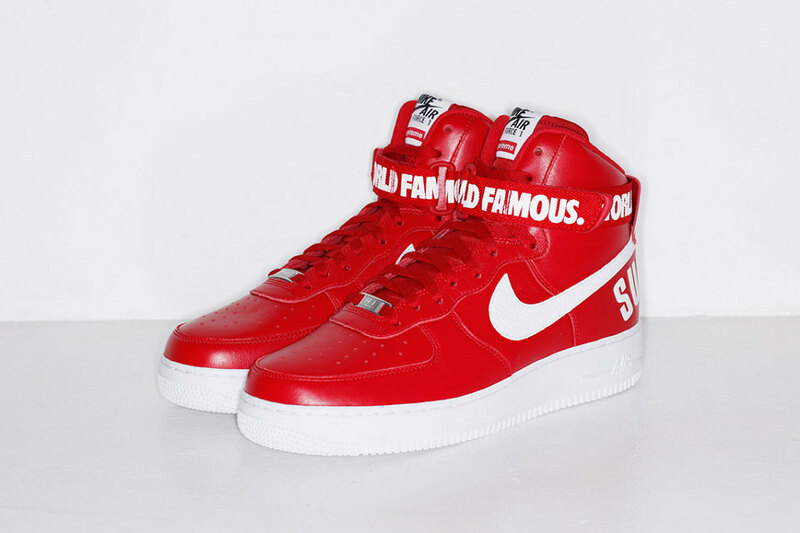 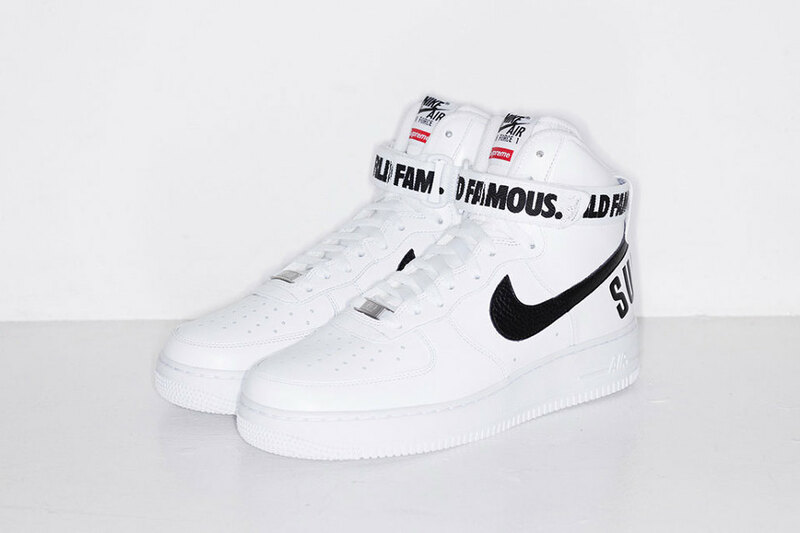 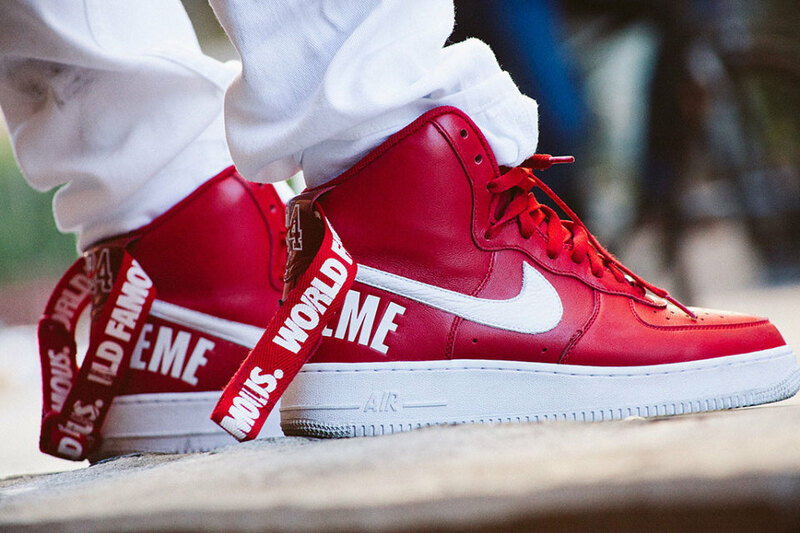 After numerous unofficial leaks and previews, Supreme just announced that it will be releasing its new version of the Supreme x Nike Air Force 1 High. 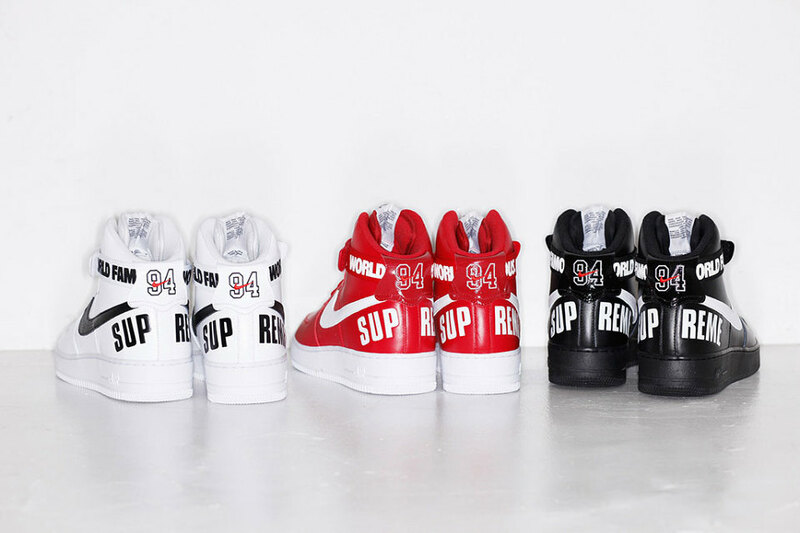 Mixed in with its “World Famous” and “94” along the ankle strap, the collaborative collection comes in either White, Black or Red. 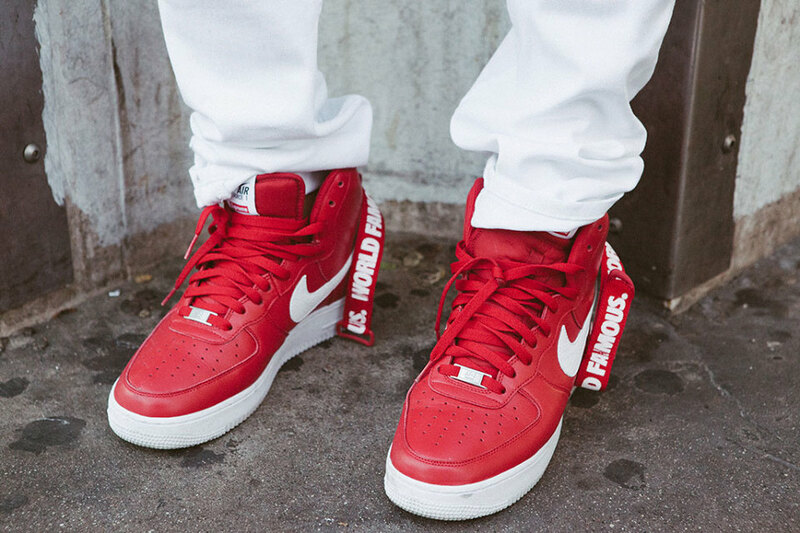 The kicks will be available at the brand’s Los Angeles and London spots, as well as the Supreme online store this Thursday, October 23.